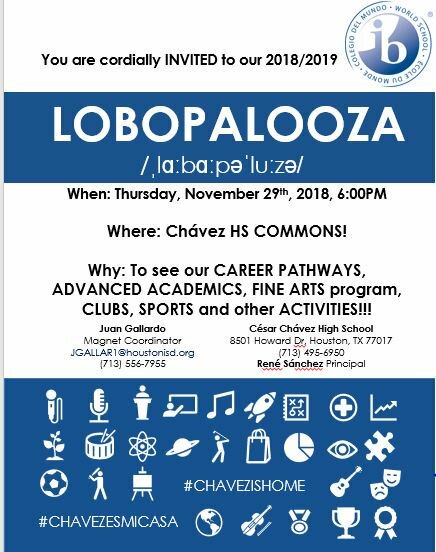 Chavez High School on Thursday will hold its annual Lobopallooza magnet program showcase event for prospective students and their parents. 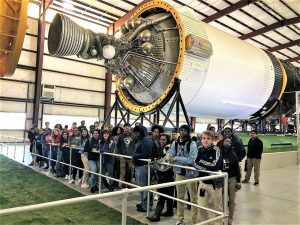 This entry was posted in Magnet/School Choice, News, STEM and tagged Chavez High School on November 29, 2018 by HISD Communications. Known for its innovation, Energy Institute — which once programmed robots to shovel dirt at its groundbreaking ceremony — decided to forego a traditional ribbon-cutting, and instead have students use a circular saw to cut a wooden board laser printed with the school’s logo. The cut pieces were then presented to special guests at the event. This entry was posted in 2012 bond, 21st century schools, Business Operations, College Readiness, District IV - Jolanda Jones, High Schools, STEM and tagged 2012 bond, BuildHISD, Energy Institute High School, Energy Institute HS on September 19, 2018 by HISD Communications. HISD Superintendent Richard Carranza’s call to rebuild and reimagine the future of HISD’s classrooms arrived just in time at this year’s State of the Schools, where Board President Rhonda Skillern-Jones and Carranza announced the recipients of the HISD Foundation’s Innovation Grant. This entry was posted in HISD: Our Story, News, State of the Schools, STEM, Teachers and tagged HISD Foundation on February 20, 2018 by HISD Communications. The theme is “Mind, Body, and Soul,” and the idea is to brainstorm solutions that will help the community. More information is available at the Together With Tech website. 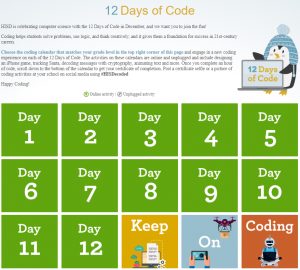 This entry was posted in High Schools, News, STEM and tagged Together with Tech on February 16, 2018 by HISD Communications. The Houston Independent School District has been awarded three grants, including one that is believed to be the largest grant the district has ever received. Each of the three grants is from the U.S. Department of Education. The largest totals $47 million and will go to recruiting and retaining the best teachers and administrators at the district’s most struggling schools. This entry was posted in Achievement/Recognition, HISD: Our Story, News, STEM, Teachers and tagged grants on October 3, 2017 by HISD Communications. 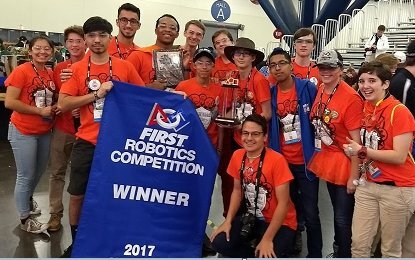 Energy Institute High School’s Energy HEROs team on Saturday placed second in the world at the Houston-hosted FIRST Robotics World competition. This entry was posted in Achievement/Recognition, High Schools, News, STEM and tagged Energy Institute High School on April 26, 2017 by HISD Communications.